What waste and resource recovery topics and challenges are important to Ararat? How does the City deal with organic garden waste in the future? What are the key existing facilities in this municipality? What facilities are expected to change within the next ten years in this municipality? (This may include new, or expanded facilities, or facilities to be closed). Investigate the consolidation and rationalisation of some of the rural Resource Recovery Centres and examine the feasibility of a new Resource Recovery Centre (potentially with a neighbouring municipality). What are the key Regional Implementation Plan Priority Actions for this Municipality? 2. Facilitate the development of regional partnerships to enable efficiencies in resource recovery, materials transport and disposal. 4. Work with Councils and Industry to upgrade (and rationalise) infrastructure, improve operations and engage communities. 5. Facilitate work between Councils or Industry and the EPA to progress any rehabilitation assessments and requirements for closed landfills. 9. Continue to work with relevant agencies, Councils, Industry, Schools and the Community, on waste and resource recovery education and engagement. This information has been collated by Grampians Central West WRRG. 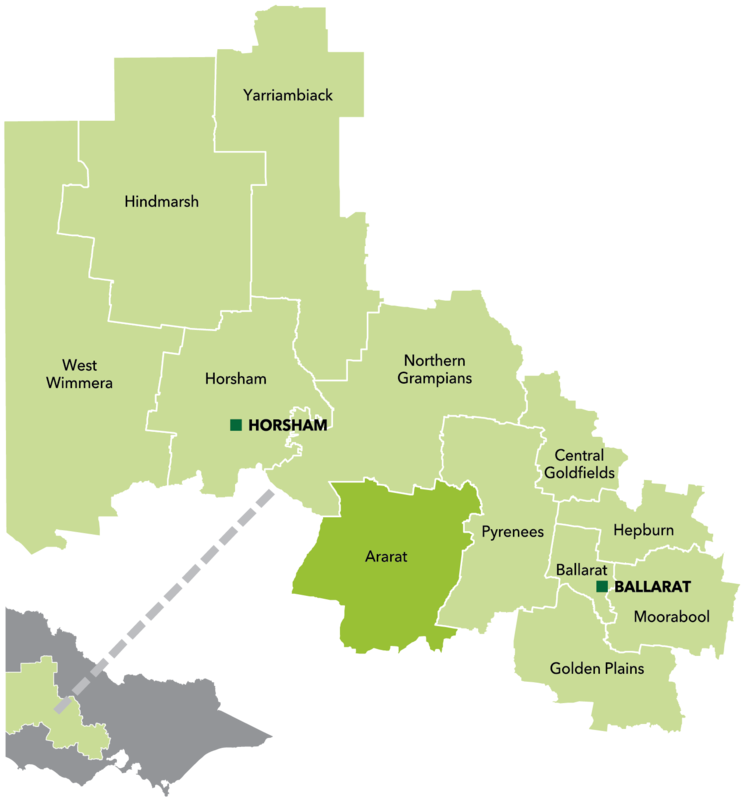 It in no way reflects any policy, intent, or proposal of the Ararat Rural City Council or Staff. Information collated in July 2016.